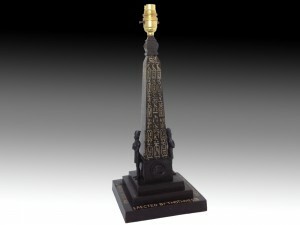 An unusual patinated bronze lamp base of Cleopatra’s Needle, now converted to electricity. 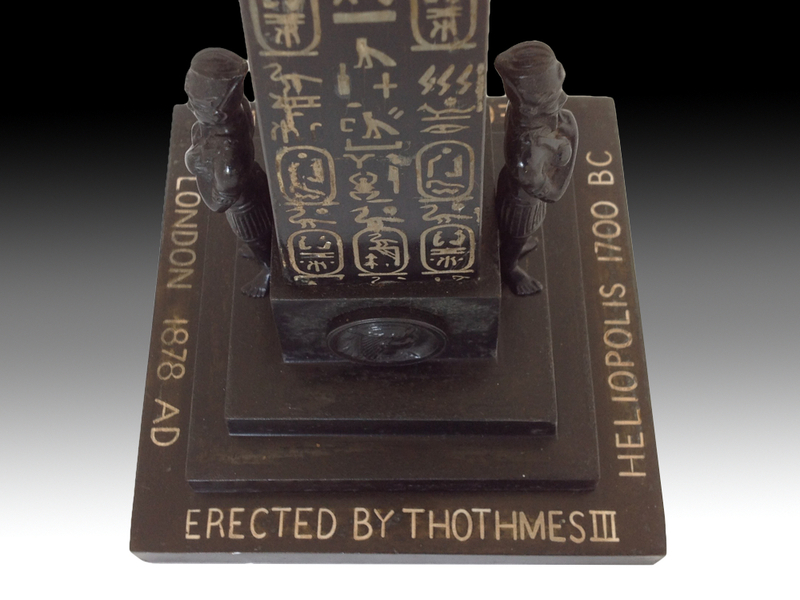 This commemorates the bringing of the Egyptian obelisk, inaccurately but commonly called Cleopatra’s Needle, from Alexandria to London, where it was placed on the Thames Embankment in 1878. 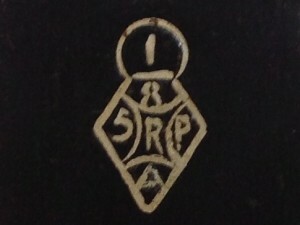 Diamond registration mark. Class i Metal, 8th December 1877. 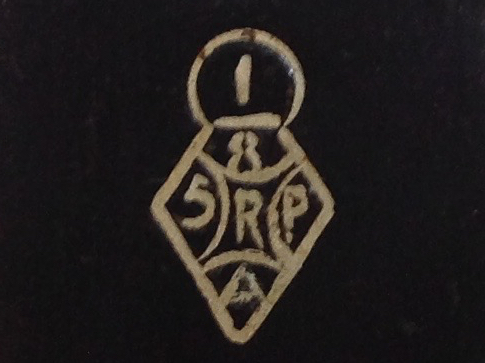 Registered design number 316926. 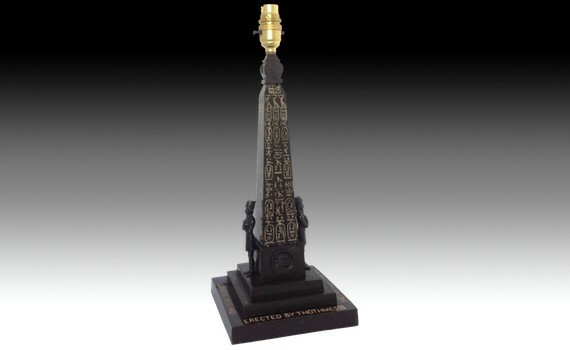 J.Barwell, Son & Fisher, Worcester Works, Clement Street, Birmingham.